Is Lucifer Another Name For Satan? Note however that Jerome was not in error. Lucifer, which means "light-bearer", was the fourth century Latin name for the planet Venus, also known as the Morning or Evening Star because it reaches maximum brightness shortly before sunrise or shortly after sunset. As "Morning Star” Venus heralds daylight. The Hebrew term translated in the KJV as "O Lucifer, son of the morning” is Helel ben Shahar that literally means ‘Helel son of Shahar’. In the Babylonian / Canaanite religions, Helel ( to bear light) and Shalim, the god of dusk were the twin sons of Shahar, the god of the dawn. "Apparently these verses allude to a mythological story about a minor god (Helel son of Shachar) who tried to take over Zaphon, the mountain of the gods. His attempted coup failed and he was hurled down to the underworld. The king of Babylon is taunted for having similar unrealized delusions of grandeur. Some Christians have seen an allusion to the fall of Satan here, but this seems contextually unwarranted (NET Bible. http://classic.net.bible.org/passage.php?passage=Isa%2014:4,12 ). The oracle concerning Babylon which Isaiah the son of Amoz saw. The egotistical monarch boasted that he would "ascend into heaven", exalt his throne "above the stars of God", "ascend above the heights of the clouds" and make himself "like the Most High"(Isaiah 13-14). However God had a different fate in mind for the impudent potentate. He said the king would experience both the collapse of his kingdom and the loss of his life. He would be brought down to Sheol (Vs. 15), at which the inhabitants of Sheol would wonder if this was the man who shook kingdoms and made the earth tremble. In other words, both these prophets lamented the downfall of the once magnificent monarchs.. 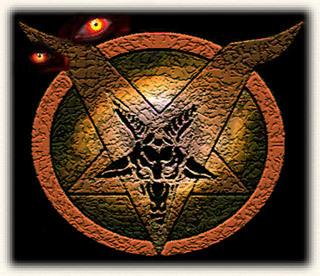 There are several reasons that Christians tend to associate the word Lucifer with Satan. One of which is that the Babylonian empire and Satan's empire in the Apocalypse seem entwined. However, while physical Babylon no longer exists, the influence exerted by the gods it served, has spread far and wide. "Babylon" is now not a nation, but a spiritual kingdom, that reached back to Shinar and the tower of Babel, then physically and/or spiritually persisted in the physical kingdom of Babylon, and other nations as diverse as Egypt, Assyria, Greece, and Rome, all of whom wreaked havoc on Israel. This kingdom, the antitheses of Jerusalem, is alive and well, and still endeavors to carry away captives and win the battle. And, until finally defeated, it will extend it's tentacles into the future when spiritual apostasy and pure unmitigated evil will peak under the regime of the beast. See From Babel to Babylon. While there is no question that Isaiah 14 is paralleled by Ezekiel 28 and that both prophets were speaking of very fallible human monarchs, Ezekiel's language does seem to transcend mere mortality. The king of Tyre is described as the anointed Cherub who was created and was perfect in every way when he walked upon the holy mountain of God - until evil was found in him. While these may be poetic descriptions of the human king, it would be, for example, nigh impossible to apply verses 14 and 15 to any earthly king. Thus the possibility that they are refer to Satan himself must not be ignored. We can not assume that the passages only have one meaning. An actual historical thing or event which, at the time it occurred, was a rough draft or glimpse, of one or more actual events yet to come, although the significance may not have been apparent at the original occurrence. Thus it is entirely possible that both Isaiah 14 and Ezekiel 28 looked both backward and forward. They spoke of the fate of earthly kings, but also made a subtle allusion to the spirit force behind these kings. The prophets looked far into the future to the rise and fall of a sinister figure who is yet to come … The Antichrist.